Nick Leland's performing career began when he started messing around with his brother's bass guitar at the age of fourteen. His brother, who was a little older then Nick, also played the keyboards, and the two of them loved to entertained audiences wherever they might be. A year later, he was playing his first gigs with Shorty Avery and Dennis Volk, playing at local Veteran's Clubs, and at the Shady Inn, a popular nightclub five miles west of Norfolk, Nebraska. Later on in High School, Nick played with the group Fat Chance, a band he formed with his buddies. Leland, a bass player at the time, would jump at any chance to play and loved to get together and jam with fellow musicians Dan Witte, John Markland, the Buetler Boys, Greg Goodman, Mark Lambert, Randee Falter, Jim Casey and others. After High School, Nick Leland spent a couple of years performing six nights a week for Jim Rich in Sante Fe, New Mexico, before returning to Norfolk, Nebraska and joining Jim Casey & the Lighning Band. Nick later moved to Lincoln, Nebraska to perform with the bands, Pride of the Plains and the Riviera's, and then went on the road for a couple of years, touring with the Ray Coble Show and later with the Ballroom Allstars. Nick moved to one last Midwest city, Sioux Falls, South Dakota, to perform with The Act, before making the big move to Nashville, Tennessee to work with Jim Casey, Dickie Lee, and Leon Russell. The pull of Nebraska proved to be too strong however, and Nick returned to Norfolk, Nebraska to perform with the bands Paradise Ranch, Shiloh, and Redeye. Then, an opportunity to work for a Florida-based Cruise Line company presented itself, and Nick spent the next couple of years entertaining passengers on cruise ships traveling to ports in the Caribbean and Alaska. He then moved to Florida, spending the next four years, playing with the bands Rumblefish and No Bus Fare Johnson, while spending his summers working in Alaska. Once again, Nebraska called to Nick, and he returned to his hometown in 2005. 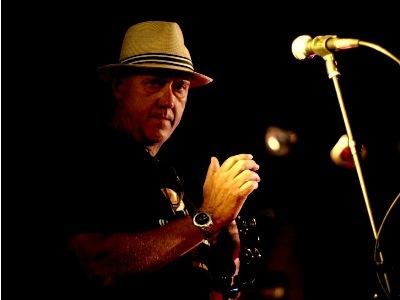 During his early performing days, Nick Leland discovered he had a talent for writing songs, and after performing with several bands, he was asked to work with Papa Doodah, beginning a thirty year songwriting experiment. Jim Casey remembers sitting on Leland’s folk’s front porch, working with Nick on original songs. "That’s when it dawned on me that Nick was a very creative person" recalls Casey. Over the years, Nick Leland has started several CD projects but never got to the point where he considered them finished, until 2008, when he released a twelve track CD entitled Tales From A Tavern which, along with the classic, Love is in Limbo includes the tracks Hellbound To Memphis, No More Will I Roam, Sante Fe, Forget About Last Night, Average Joe, Queen of Biscayne Blvd., Two Stepped To Death, I'll Be Damned, Where Two Rivers Meet, Whippin' Boy, and South Side of Town. The collection is currently available for purchase or download on CDBaby. Today, Nick Leland, who has performed at venues from Aruba to Alaska (and everywhere in-between) entertains audiences with a mix of 50's, 60's, & 70's Classics, Country, Contemporary, and Blues Music, including cover and original songs. Performing solo, with percussionist Bill Settell, or with fellow musicians Jim Casey, Bob Hupp, Don Petersen, and Matt Casey, Nick Leland continues to be a favorite of crowds throughout Northeast Nebraska!